Once, every 1,300 years, the corpse flower blooms -- and this is the year! 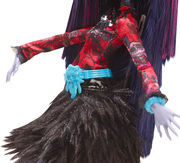 With the event occurring even less than a sighting of the Loch Ness Monster, the Monster High ghouls will hold a monster Gloom and Bloom school dance to skullebrate! To “bloom” with the garden theme, everyone will be dressed in their beast floral fashion. 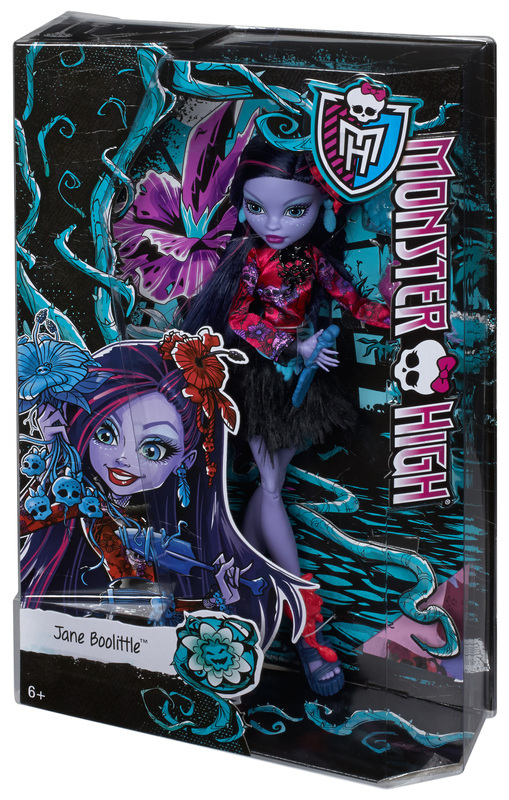 Jane Boolittle, daughter of Doctor Boolittle, is wildly fashionable in a gore-geous outfit that monster-mashes garden elements with icons representing her scaritage. She blossoms in a creepy cool print and black feathery skirt. Freaky fabulous accessories include a frightful flower headpiece and plant anklets that really “grow on you.” Jane can use her garden spade (that fits in her hand) to help care for her uhh-hmazing plant -- lift up the top of the monster flowerpot to reveal creepy cool roots. An included doll stand and personalized diary enhance the play and display possibilities. 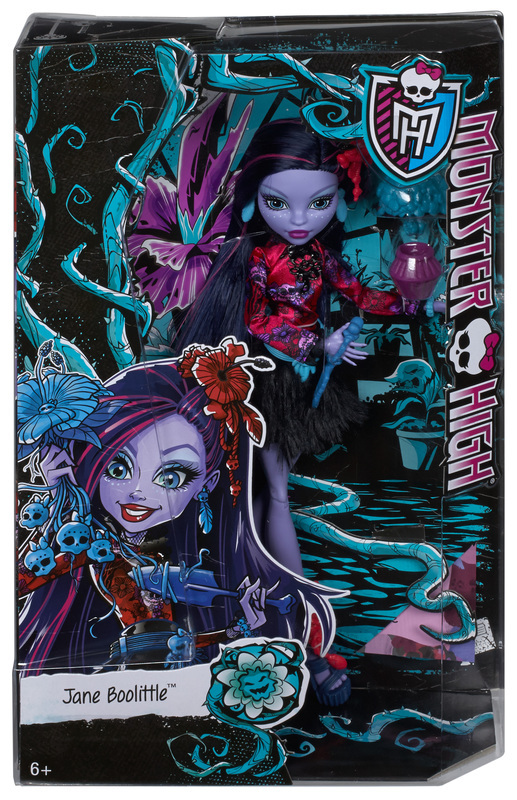 Collect other dolls in the assortment (sold separately) to expand your guest list. Includes Jane Boolittle doll wearing floral fashion, garden tool, monster flowerpot with removable top, doll stand and diary. Doll cannot stand alone. To “bloom” with the garden theme, Jane Boolittle, daughter of Doctor Boolittle, is in her beast floral outfit that monster-mashes garden elements with icons representing her scaritage, like a flowery print and feathery skirt. Jane carries a garden spade to help care for her uhhh-mazing plant -- lift up the top of the monster flowerpot to reveal creepy cool roots. An included doll stand and personalized diary enhance the play and display possibilities. Collect other dolls in the assortment (sold separately) to expand your guest list.